Some products seem to be infinitely useful, due to their flexibility and adaptability. This Unwelded Eye Bolt is suitable for a huge range of commercial and industrial uses, from boats at sea to factory settings - you might also find some domestic purposes for it, too. Typically it works well with light types of netting or mesh. 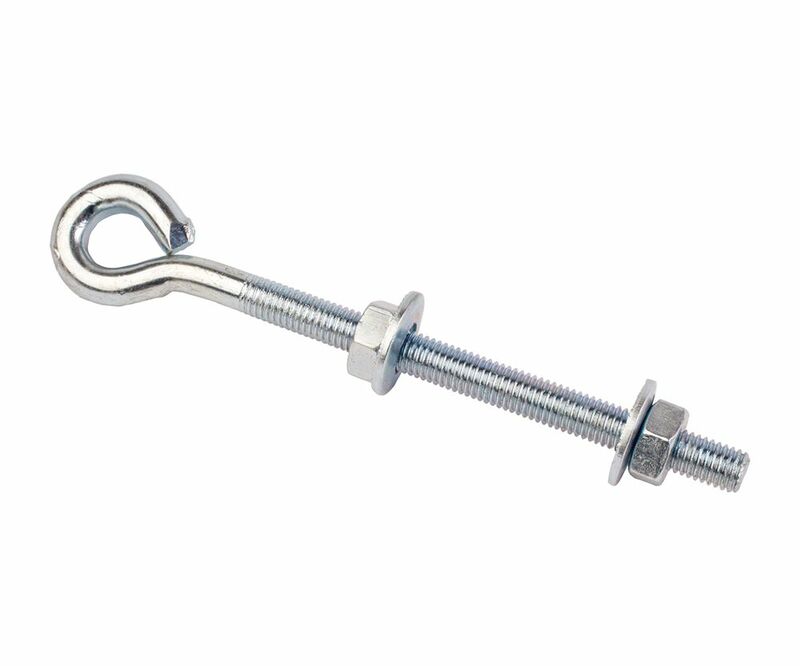 You will find that the package for this Unwelded Eye Bolt comes with two nuts and washers for convenience, and its 150mm x 3/8 size makes it suitable for a number of applications. And when it comes to toughness and durability, this Unwelded Eye Bolt is capable of ticking your boxes, offering reasonable corrosion resistance thanks to the zinc plating which it possesses. So for a product which is known to be strong and offer a long working life, this Unwelded Eye Bolt can be the perfect item.